© Xu et al. ; Licensee Bentham Open. The Publisher and Editor have retracted this article [1L. 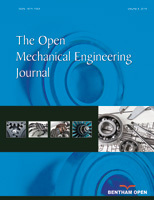 Xu, L. Xu, L. Zhang, and K. Yang, "Design of wind turbine blade with thick airfoils and flatback and its aerodynamic characteristic", Open Mech. Eng. J., vol. 9, pp. 910-915, 2015.] in accordance with good ethical practices. After thorough investigations we believe that the peer review process was compromised. The article was published online on 07-10-2015. L. Xu, L. Xu, L. Zhang, and K. Yang, "Design of wind turbine blade with thick airfoils and flatback and its aerodynamic characteristic", Open Mech. Eng. J., vol. 9, pp. 910-915, 2015.